This year's Plough Monday season is well under way, with most plays being performed during the weekend 9th to 12th Jan.2015. Check the Master Mummers Events List to see who is on where and when. 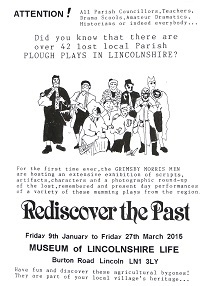 The Museum of Lincolnshire Life, Lincoln, it hosting an exhibition on historic Lincolnshire plough plays from 9th January 2015 to 27th March 2015. 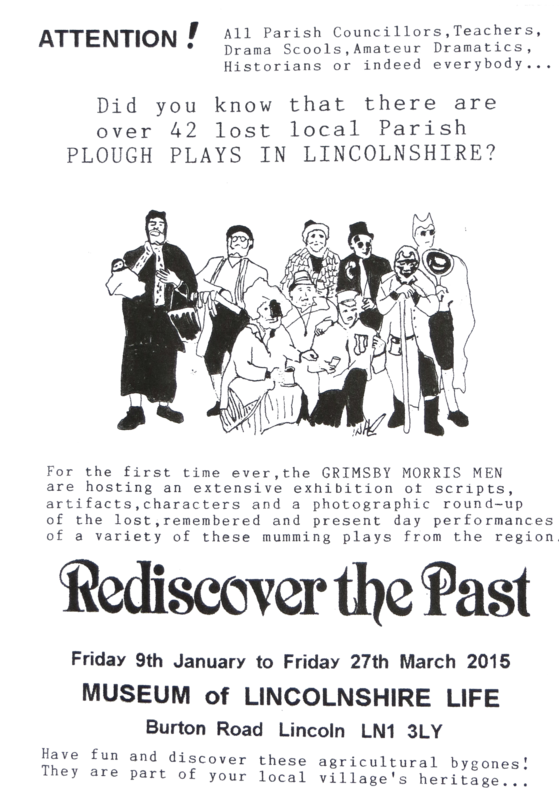 Curated by Grimsby Morris Men, it will feature a collection of scripts, historic images, costumes and artefacts from the traditional Plough Plays of the Lincolnshire villages. Free Admission. Grimsby Morris Men plough boys, this year performing the Elsham Plough Play. Click on the thumbnail image on the right for the full size poster. There will be an afternoon of live performances in Lincoln and in the museum (following on from the monthly singing session) on the 7th February. Grimsby Morris and Branston Plough Jags will be performing, and it is hoped that the Coleby Plough Jags will also be there. Details will appear on the Master Mummers Events List in due course. 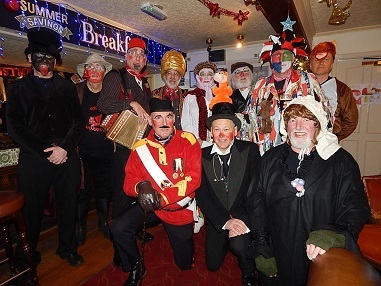 Many groups have been posting pictures of their performances during past festive season on the Master Mummers open Facebook Group - https://www.facebook.com/groups/660575583993994/. If you have not already joined the Group, perhaps now would be a good time. There are already over 150 members.